In a nutshell, it helps to give them a habitat they love so they can thrive and fulfill their glorious destiny. Like people. 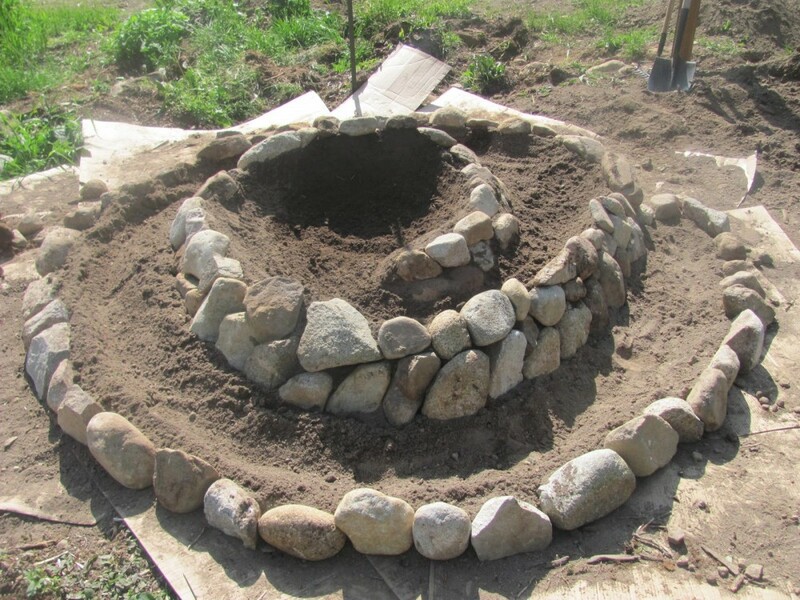 Below is an herb spiral under construction (not mine, sorry). An herb spiral is a permanent container type garden which I can build. It creates multiple habitats just by its shape and orientation. You can even have a frog pond on the low, north side.